“Paddy’s Whiskers play traditional Irish, Celtic and American music in their own upbeat contemporary style. Foot stomping Irish jigs and reels rollicking border bagpipe tunes, haunting slow airs, banjos and fiddles twisting and turning to weave intricate melodies. 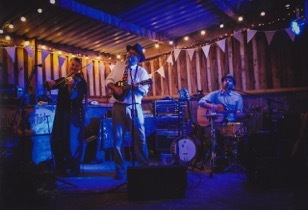 Recently featured on BBCI, Paddy’s Whiskers have been playing for ten years at festivals, gigs and parties across the South West and in Europe. Teignmouth Folk Festival takes place every June in Teignmouth, the Gem of South Devon, England.